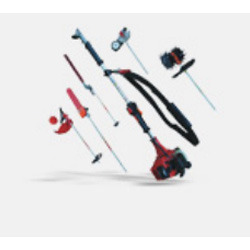 Manufacturer of a wide range of products which include double bar garden machine, electric garden machine, multi-purpose garden machine, single cylinder garden machine, trimming garden machine and professional garden machine. We offer Double Bar Garden Machine. Fast connecting device, convenient disassembly and assembly steps. The two-section combination realizes smaller package to make it easy to transport and carry. The machine has one engine and working rod with four working head, being more economic. The working heads can be assembled freely according to different places and demands. Fuel is a mixture of 93# unleaded gasoline and JASO FB grade two-stroke engine oil. Lop, trim the green belt, mow the lawn, cut the bush, etc. We offer Single Cylinder Garden Machine. 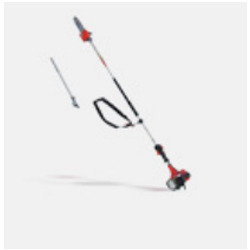 We offer Trimming Garden Machine. The machine has one engine and working rod with six working head, being more economic. We offer Professional Garden Machine. Lop, trim the green belt, mow the lawn, cut the bush, trim the lawn edge, plow, etc. 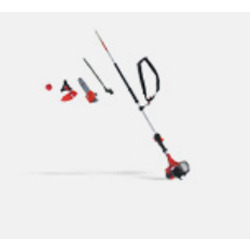 Looking for Garden Machine ?